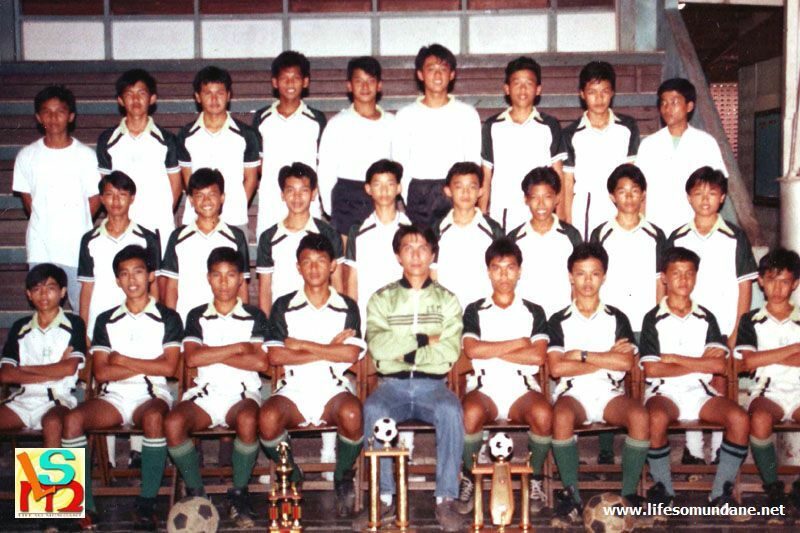 My high school team in season 1988-89 was probably the most powerful in the three decades that I coached football teams. The team the previous year played more attractively; but this 1989 team had more physically robust players and could play either technical attacking football or, if the occasion dictated it, an ugly counterattacking style. Its defence was second to none. The central defensive partnership of the towering Jerry Acosta and the wily Jonathan Casas was telepathic. The two wingbacks, Neil Cuenca and Erik Carbonilla, were both uncompromising and feisty little characters. In midfield, tiny Joel Carbonilla provided the flair. Emerson Dagpa stayed back in the holding midfielder’s role. Marauding up and down either flank were the two wing-halves, Paul Acorda on the right and Gil Talavera on the opposite side. It was upfront that I enjoyed every coach’s dream dilemma. I had four strikers to choose from, each almost as good as the others. Thus, I had the luxury of being able to field whoever was best suited to exploit the weaknesses of our opponents. 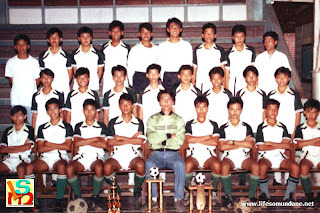 I knew that I would have a powerful team even the year before when we played in the national finals of the Coke Go-for-Goal. We lost narrowly to Bacolod in our opening game and mostly because of what everyone felt was really dodgy officiating. However, we came back to defeat Iligan and Dumaguete by similar scores of 3-nil to emphatically finish second behind Bacolod. Only the top team from each group advanced to the final, however. Had there been semi-finals, everyone felt that we were strong enough to have actually won the title. So, on to the RIFA season of 1988-89. We were routinely despatching opponents and topped the table in the early season. This was quite an achievement because, since the school was then still considered a ‘guest’ of the league, we were not allowed to play any games at home. Thus, our top of the table clash against Zobel was, like all our other games, played away from home. I was particularly wary of Zobel’s small field. Our style had always been based on fluid short passing. In limited space, the advantage is always with the defending team. Still, we arrived confident. This was a rearranged afternoon midweek clash; so the boys had to attend morning classes and grab a quick bite for the hour-long trip to Alabang. I am reasonably certain that I started with the tandem of Jericho Magnayi and Erwin ‘Starlight’ Sibayan upfront. This was a blossoming striking partnership that gave us many goals in our previous matches. The game, as I thought, was not pretty. It was played mostly in midfield and dominated by both defences. The goal, when it came, was off a deliberate handball by Erik Carbonilla which took everyone by surprise. Our goalkeeper Dwight Rosales had no chance to save the penalty. I was not duly worried because Zobel scored in the first half; and outstanding as their defence was, their players would invariably tire in the endgame. There was a bit of a problem for us, however. Magnayi had been excellent in all our previous matches; but of all days he chose this to look off-colour. I remember sending in the mercurial Robert Samaniego in his place to try and unlock Zobel’s frugal defence. We were looking predictable and I needed a bit of invention from Samaniego. We had our chances, particularly as the game wore on. Zobel’s defence, as I knew it would, was starting to open. The longer that the game wore on, however, the more intense and frantic it also became. One tiny slip could lead to a goal by either side; and since this was a top of the table clash, one goal could ultimately decide who would win the league. The ebb and flow of the game, particularly as it drew to a close, had my complete attention. We lost the game, 0-1. We were pressing hard for an equalizer towards the end of the match that the relief on the faces of Zobel’s defenders was plain to see when the final whistle blew. As the boys were dressing up, somebody asked why I had not sent in Tony. 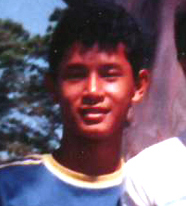 Tony was our fourth striker. He was probably not as skilful as the other three; but he was the sort of natural striker who did not have to work hard to score goals. Instead, the goals fell at his feet. I could have invented some fancy tactical explanation to answer my player’s question; but I was always forthright with my players and told him the truth. The game was so intense that my eyes and brain were completely glued to it. I forgot to look at the bench. Suffice it to say that that oversight never occurred again, just part and parcel of my learning curve as a coach. We subsequently finished the season second to Zobel; but God only knows what could have happened if I had not forgotten about Tony.